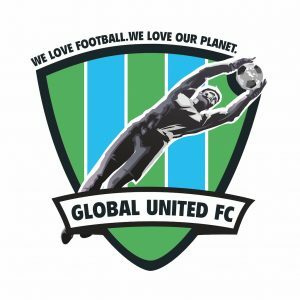 Global Goalie Lutz Pfannenstiel already started the initiative Global United FC for climate protection during his active career, which led him through 26 clubs of all six FIFA continental confederations. An extraordinary career as well as some extreme experiences brought the passionate football professional to a point where he started to rethink what he was doing and see the world with different eyes. Lutz Pfannenstiel was working in Scouting & International Club Relations at TSG 1899 Hoffenheim, as a trainer for FIFA and DFB and he also works as a TV expert for various national and international TV stations. Since December 2018 he is Director Sports at Fortuna Düsseldorf. Rainer has worked in senior and advisory roles in the sports and media industry for more than 20 years. The sponsoring, CSR and media manager also worked as managing director and publishing director at leading subsidiaries of Springer, Burda, Süddeutscher Verlag and Bertelsmann, whose clients include top sports associations, clubs, environmental and social organizations and companies active in CSR and sponsoring sector across the globe. In addition, he developed cross-media education and training platforms in football and lectures at universities and sports education institutions. Rainer is also an active member of the organizing team and player for the charity club FC Sternstunden of the German public-service radio and television broadcaster Bayerischer Rundfunk. „Stiga“ played as a professional midfield player for the South African national team and took part in the Olympic Games in 2000 as well as the Africa Cup in 2004 with the Bafana Bafana team. He also played in Switzerland, Russia and Greece. In South Africa he played for the Kaizer Chiefs, Orlando Priates, SuperSport United and most recently for the Bidvest Wits. His appearances on “Strictly come Dancing” made him well known throughout Africa, as well as his engagement as analyst and expert on SuperSport. He holds a stake in the football academy Metro Stars and at an electric services company.